On Saturday, March 12, KRTS Marfa Public Radio (93.5 FM) presents a concert with the Bel Cuore Quartet at the Crowley Theater in Marfa. Doors open at 7:30 PM, and the concert begins at 8 PM. The Bel Cuore Quartet’s repertoire includes jazz, pop, classical, funk, and rock arrangements as well as exciting music from contemporary composers. The saxophone quartet, based on the model of the string quartet, is one of the most colorful and exciting chamber music groups. Saxophone quartets have exploded in popularity among composers and audiences for their ability to perform an incredibly wide range of music. 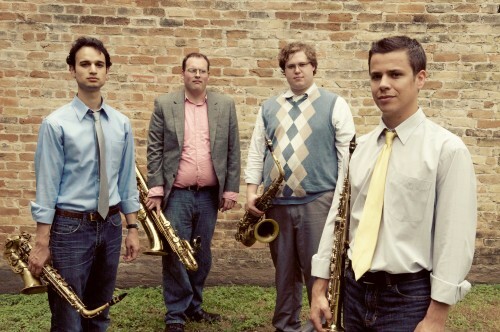 The members of the quartet are soprano saxophonist Rami El-Farrah, alto saxophonist Sunil Gadgil, tenor saxophonist Spencer Nielsen, and baritone saxophonist Michael Hertel. The four doctoral students met at The University of Texas at Austin Butler School of Music and have been playing together for more than two years. The group was recently featured on the Naxos/Longhorn Music recording Over the Rainbow and Bach Again, and they recorded Concerto X2 by Baylor composer Scott McAllister with the University of Texas Symphony Band. The quartet has also performed and worked with iconic American composer William Bolcom. The Bel Cuore Quartet has performed at diverse venues across Texas and will have performed internationally – the quartet traveled to Helsinki, Finland, in early March 2011 for a one-week residency at the Sibelius Academy. Don’t miss the chance to see this group in action in West Texas. 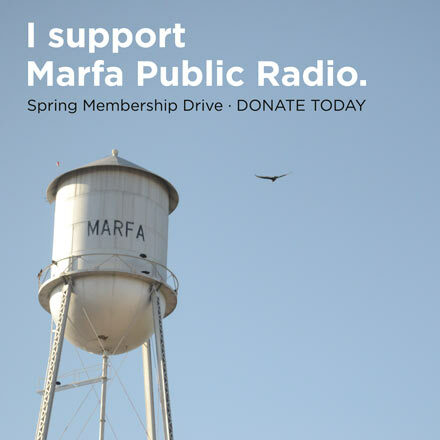 Tickets to the performance are $10, and all proceeds will benefit Marfa Public Radio, your regional, non-profit radio station. A reception will follow the performance, giving the public a chance to meet the quartet. For more information about free performance, contact Marfa Public Radio at 432-729-4578, or visit the Bel Cuore Quartet’s website at belcuorequartet.com.